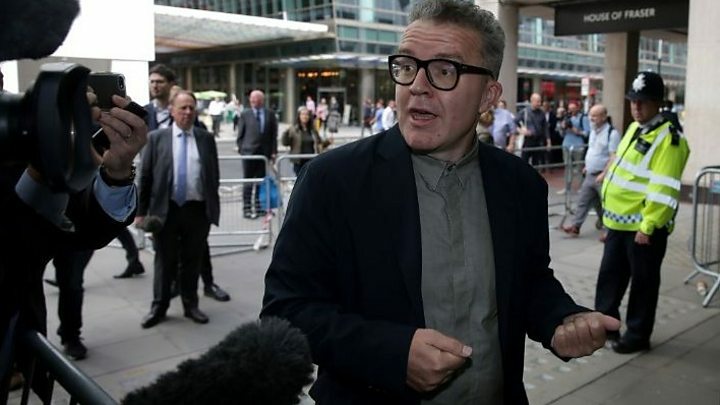 Labour's deputy leader Tom Watson has revealed he was diagnosed with type-2 diabetes but has "reversed" the condition through diet and exercise. "I feel great. I feel absolutely fantastic. Chilled out, I feel like my IQ has gone up. I feel younger. It's a great feeling," he told BBC Radio 4's Today programme. He said he developed diabetes through being "overweight, deeply unfit, [and] addicted to sugar and fast foods," and explained how he had "reversed" the condition, in an article for the Daily Express. The West Bromwich MP - once nicknamed "Tommy two dinners" - told Today he had "battled weight since my early 20s". "I kept putting on pounds and then I was diagnosed with type-2 diabetes. Like a lot of middle-aged men, I immediately went into denial. My condition was so frightening, I didn't begin to understand it. I just pretended I didn't have it. "And then I hit 22 stone - and I have a young daughter. I kept reading biographies of Labour politicians who died in their 50s and I knew I had to sort it out". After researching the subject, he started a diet by "giving up sugar" and cut out beer and curry. He then began to exercise, starting with walking then cycling, running, boxing and weight-training. Poor diet and a lack of exercise mean it's possible a million more people in this country could be diagnosed with diabetes over the next 20 years, according to a report by Public Health England. The large majority of cases - 90% - are caused by type-2 diabetes, which is linked to obesity and poor health choices. The other 10% are type-1 diabetes, a disease of the immune system that has nothing to do with lifestyle choices and is neither preventable nor reversible. Type-2 diabetes is a chronic condition associated with obesity and family history and is more likely to be diagnosed in older people. It's more common than type-1 diabetes. It is caused by problems with controlling blood sugar levels - either because the pancreas does not produce enough insulin, or if a body's cells do not react to insulin as they should. The condition is treated by medication or controlling a person's diet. "I think a lot of people feel shame when they are diagnosed with it because you kind of know, you get warning signs," he told Today. "But for many millions of people, it's an entirely preventable and reversible condition" with "the right nutrition and exercise". "It is a public health scandal that so many millions of people are having to suffer this condition when they don't have to," he added.